Epic Games’ Fortnite will see its fifth season of content debuting on July 12th at 1 AM PST. Before that, some crazy things have been happening on Fortnite: Battle Royale’s map. A missile launched and caused strange cracks to appear in the sky. Small rifts have been appearing, sucking up different sections of the map. Heck, the Durr Burger sign even disappeared… only to reappear in the real world. What does all of this mean? 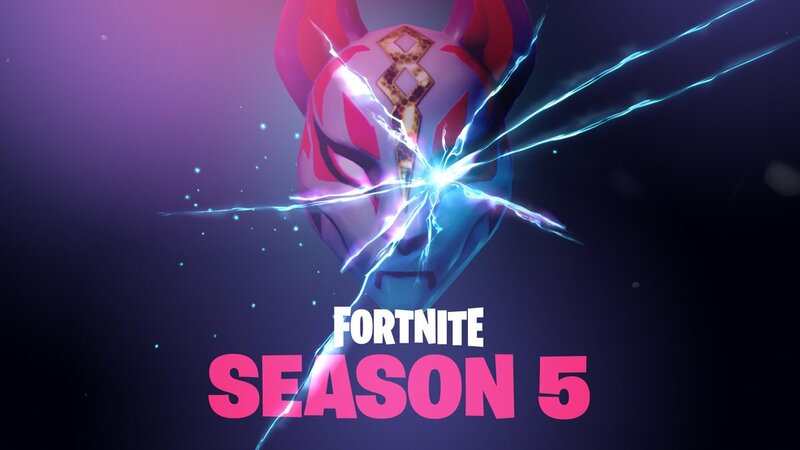 We’re not sure, but Epic Games has revealed a new image to tease Season 5’s debut. It’s a Kitsune mask, with the words “3 days until Season 5” accompanying the image. Kitsune represents foxes in Japanese folklore and usually possess special powers like space-time control. Could this be another hint at next season’s theme? This isn’t nearly as straightforward as Season 4’s theme of superheroes, and honestly, no one could have guessed that a limited time mode with Thanos and the Infinity Gauntlet was coming then. Season 5 will start on July 12th and run till September 20th. Save up those V-bucks for the next Battle Pass in the meantime.